In a FAIR democracy, everyone subjected to the rules of government can vote on what those rules will be. Most functioning democracies today are indirect, where the people vote for representatives that in turn vote on the issues on their behalf. Although not everyone gets their way, counting votes at least insures that MOST people do and this is what gurantees a popular government. A COMPROMISED democracy is where a corrupt government secures it's position by disallowing votes that are likely to oppose them. One way to compromise the democracy is through voter suppression. This is often done under the guise of "preventing voter fraud". 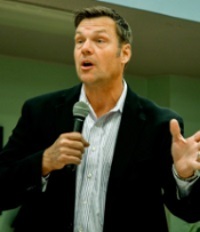 Politicians like Kris Kobach have pushed for laws and systems that are presented as anti-fraud measures but evidence suggests these laws and systems do more to suppress valid votes. It's hard to imagine, given the track record of some of these politicians that this isn't intentional. 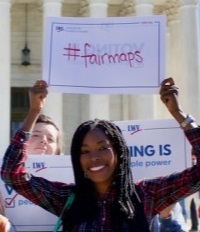 The legal approach to fighting voter supression is to appeal to the court. The U.S. Constitution specifies a separation of powers that is intended to allow the people to appeal to the Judicial Branch when the President and or Congress is unwilling to address the matter. It's then up to the courts to decide if voter supression is compromising the democracy and if so they have the power to overrule. However, the president is authorized to appoint judges to the court. Again, the constitutional separation of powers holds that a President's nominee be confirmed by Congress, but this check might not always be effective if the government is indeed corrupt. Therefore it's possible for a president and Congress to work together to nominate judges that are willing to neglect the legal challenges to voter suppresion. 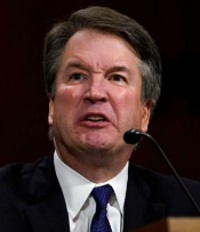 The most recent appointment to the highest court in the land, Brett Kavanaugh was extremly controversial because of his stated conservative bias and the fact that the congressional majority (also conservative) confirmed him.